Published in: Montagne, C. (1844). Quelques observations touchant la structure et la fructification des genres Ctenodus, Delisea et Lenormandia, de la famile des Floridées. Annales des Sciences Naturelles, Botanique, Troisième série 1: 151-161, pls 10, 11. Type locality: Australia (Silva, Basson & Moe 1996: 184). Holotype: Fraser; Herb. Greville, E (Womersley 1996: 344). Notes: "Novam Hollandiam" (Womersley 1996; 344). Possibly Macquarie Island (Ricker, 1987), but opinions vary (see Millar, 1990: 382). Type: Greville collection, E (Bonin, 1982, figs 8a, 8b). 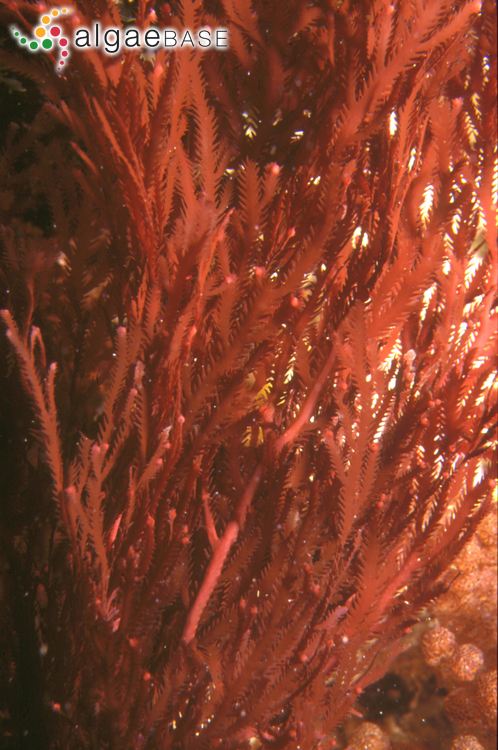 According to Fuhrer (1981) this species occurs in temperate and subtropical waters. Huisman (2000) notes that this species is distributed from Dongara, Western Australia, around southern Australia to Caloundra, Queensland. Bonin, D.R. & Hawkes, M.W. (1988). 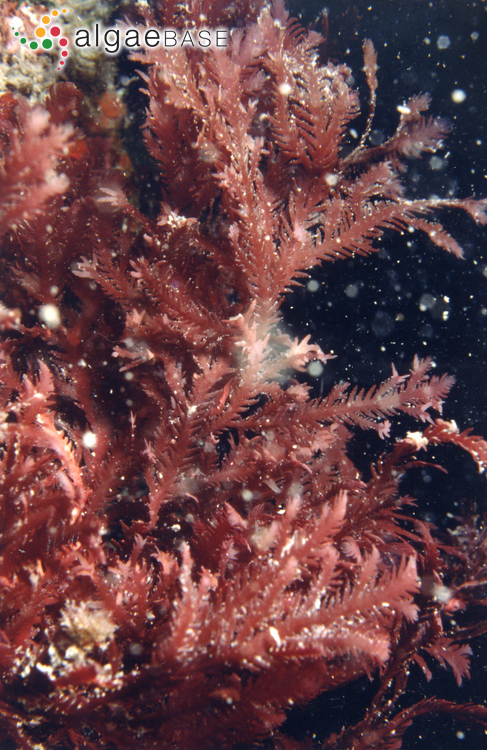 Systematics and life histories of New Zealand Bonnemaisoniaceae (Bonnemaisoniales, Rhodophyta: II. 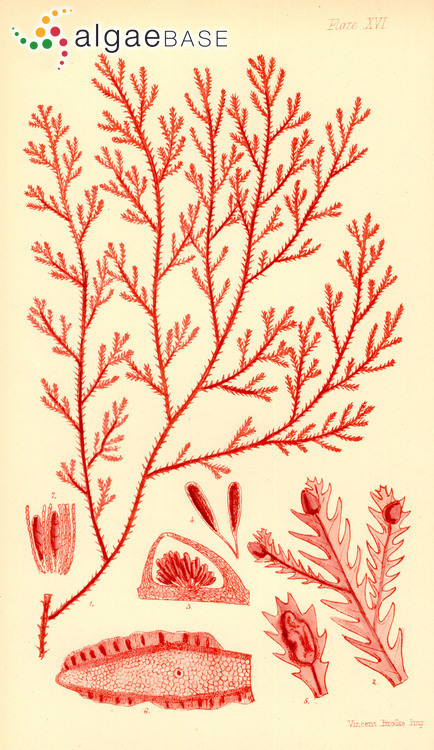 The genus Delisea. New Zealand Journal of Botany 26: 619-632. Accesses: This record has been accessed by users 5545 times since it was created. Rasmussen, T.B., Manefield, M., Andersen, J.B., Eberl, L., Anthoni, U., Christopersen, C., Steinberg, P., Kjelleberg, S. & Givskov, M. (2000). How Delisea pulchra furanones affect quorum sensing and swarming motility in Serratia liquefaciens MGI.. Microbiology 146: 3237-3244.